I'm thrilled to announce I've joined a group of other women as a contributor to a new blog called Project Create a Home . Each of us will be writing about a topic we're interested in, i.e., cooking, decorating tips, technology, etc. I've signed on to write about a new venture I'm embarking on (no, I'm not climbing Mt. Everest, I'm far too lazy for that! ), and I plan to announce details of it in the next couple of days. So, please stop by Project Create a Home and be sure to check The Kramer Angle for big news in the coming days! When you have two boys ages 12 and 10, Gameboys, Wii, and Gamecube factor into your life pretty heavily. I'm a mother that doesn't understand the fascination with video games; I think it's a waste of time. My kids don't spend an inordinate amount of time playing them but I'd be lying if I said we haven't had a battle or two over what I'd prefer they be doing. While we were in Ohio for the holidays one of my brothers gave my youngest son an old pogo stick his kids had outgrown years ago. My son was thrilled and while he happily tossed it in the back of the van for the drive back to the east coast, I was certain it would be just another toy getting too little use, languishing in our garage with all the others. But my son has surprised me and has been pogo jumping in the morning and again after school. He's certain there's a Guiness world record he can break if he just keeps on practicing. It brings me joy that he's having so much fun with a nice, classic simple toy, one we all had when we were kids. Not to mention the fact it's impossible to work the Wii controller when you're bouncing down the sidewalk on your way to a world record. One of the best things about blogging is meeting other bloggers by visiting their sites, reading their posts and leaving a comment regarding their daily ruminations. 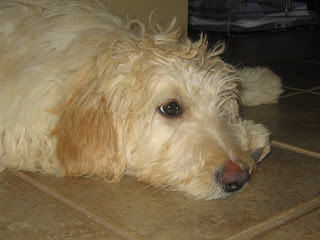 One of the blogs I really enjoy reading is Southern Whimsy written by KD. She tagged me to play "ME ME" a few days ago, but unfortunately I had that little situation with the tabloids to deal with, (you know, the whole Obama + me photo thing) and so I'm just now getting to it. So, a "ME ME" is just what it sounds like; it's all about me. (IT'S ABOUT TIME!!) I have to write six random things about myself and then pass the "ME ME" on to some other bloggers. It's a fun way for all of us in the blog world to get to know each other. So, here goes, six random things about ME ME ME! 2. I have always wanted to be a comedian. Humor gets you through a lot of stuff..
3. I have perfectly straight teeth and naturally curly hair. (I wish I could put that on a resume!) I've never cursed nature over the teeth but I've had some irritation with the hair. 4. My children are my gifts from God. 5. My Outs and Runs never counted. Chrissy at http://theapothacaryshop.blogspot.com and I share the same design aesthetic. When I first came across her blog I was amazed because our decorating style is so similar! I'm also passing it on to Lori at http://sudsnjewels.blogspot.com. I met her through Etsy a few weeks ago because I'm in the process of launching my new venture (more about that in coming weeks) and she's going to help me with one angle of it. My son wouldn't think I'm creative if he used Lori to measure me against. The girl has it going on in the creativity department! And the next thing I know some French guy is painting my portrait... It's unbelievable! 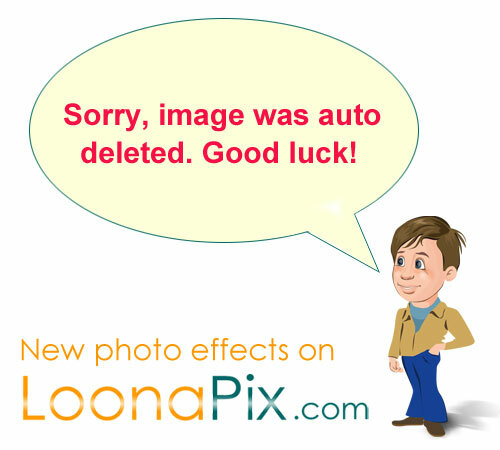 Okay, so I just spent the last hour playing around on this great website: loonapix.com. It's a free photo editing site and it is really cool. It obviously kept me amused...! A couple of years ago my husband was paying the bills when he came across multiple invoices for my magazine subscriptions. At the time it was Cottage Living, Southern Living and Traditional Home up for renewal. He started to rant and carry on that I was spending a fortune on magazine subscriptions and questioned how many I had. I quickly did the tally in my head (the ones already mentioned plus House and Garden, Country Living, Vanity Fair, Home, Midwest Living and Better Homes and Gardens). Apparently he thought that was too many (Too many? Not enough!) and did the quick calculation that we were spending about $120 a year on decorating magazines. Being fast on my feet I quickly pointed out that decorating is my one addiction, my hobby, and my passion and that perusing magazines brings me great joy much like golf does for him. And to say my husband likes golf would be an understatement. He loves it. It's his passion and he's very good at it. So in order to stay good at it he has to play alot. And as you probably know, golf is not a cheap sport. It's not like basketball where he can just go grab a ball and head to the driveway and play some hoops. No, golf requires shoes, clubs, greens and cart fees. So I pointed out that he plays golf an average of 5 - 6 times a month with a conservative estimate (depending on the course) of $30 a round. He sat in his chair, checkbook open, pen in hand, looked at me and said "Should I renew for one year or two?" I tell you, the man's not stupid! It looks like we'll be spending less on magazines this year though because sadly times are also tough in the shelter magazine world. This morning's Washington Post newspaper reported three of my favorite magazines: Cottage Living, O at Home and Country Living (my perennial favorite) have all announced their demise. With fewer magazines to peruse nightly, I'm going to have a lot more free time on my hands. I may actually start watching television. What are the good shows these days? 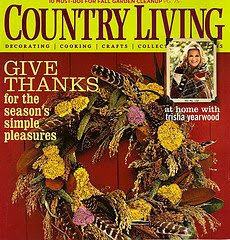 BREAKING NEWS........I went to the Washington Post online to see if there has been a correction to the announcement that Country Living is one of the magazines that is shutting down and discovered they changed the online version to read Country Home. A couple of other readers posted comments questioning the accuracy of the original article in today's edition. Turns out they must have been confused and it's Country Home not Country Living. Either way, I'm sad. 9:45 a.m. Well, my husband and I are sitting on the couch in the family room watching the start of the inauguration. My friend Laurie and I debated back and forth as to whether to go. She's on her way over to watch it with us on the big screen. Regret is starting to set in as I see the television pictures of the people on the mall waiting. The metro station parking lots were already full at 5:30 a.m.
11:30 a.m. Laurie and I are watching the inauguration (and I have to admit it is nice and warm inside) and so far I haven't had to wait in line behind her for the bathroom! It's actually going well! 11:45 a.m. Turns out I'm closer than I thought I would be! 12:00 p.m. Oh, this shot? That's just me and the President of the United States of America Barack Obama! Turns out being there in spirit is pretty amazing too. I live about 30 minutes from the nation's capital and right now, people are swarming into the city from all over the world to go to the inauguration of president-elect Barack Obama on Tuesday and I can't decide whether I want to go or not. Actually, let me re-phrase that, I want to go, I just don't know if it's worth it. I've been to a couple of inaugurations (Clinton's first in 1993 and George Bush's in 2005) with my mother and sister and we had a great time, so I've experienced it before. But for weeks, the Washington Post has been reporting that just getting into the city is going to be a logistical nightmare for people. So I asked a good friend of mine, a high ranking, highly respected law enforcement officer for the Capital Police what he thought I should do. He didn't say "stay home" but he did point out that 1) without a ticket I won't see much, 2) it's going to be incredibly cold and 3) by watching it on tv at home, sitting on my couch in the comfort of my own home I won't miss a thing. And the more I think about it, the more I realize that I don't need to be present on the mall in Washington, D.C., to be a part of history being made. I already am. We all are. And it feels good. Earlier in the week I wrote about finding joy in every day living (which is also my blog's tagline) so I thought I'd continue with the theme to close out the week. Friday is my favorite day of the week for a variety of reasons, (the model home furniture clearance center is open, it's the last day of school, the promise of the weekend to come, etc.) so I've decided to make Fridays my "What Brings Me Joy" day and each week I'll post one thing that brings joy to my life. One of the best things about blogging is "meeting" fellow bloggers who stop by my blog, share a comment, or send an e-mail just to be nice. It amazes me that there are people all over the world (I got a comment from someone in India!) taking the time to read my blog. What amazes me more is that there are people out there, living their lives, doing their thing, blogging and willing to share everything they know to help new bloggers like me be successful. Random strangers making a positive impact on my life definitely brings me joy! One of the fun things bloggers do is "tag" each other or give awards every now and then to blogs they like and sweet Tardevil has just picked me to play "photo tag" and now I'm "it". So, to play, you go to your digital photo file, and find the fourth photo in the fourth file, post the photo and explain what it's all about. In my case it turns out to be "Pearl". You may remember I posted a photo of her before in my holiday decorating post. (Scroll down to see her all dressed for Christmas.) I found sweet Pearl at an auction and I fell in love with her the moment I saw her. She's not like those other dress forms you see all over the place, all teeny, tiny, nothing but wire and cuteness. They're a dime a dozen, and even though I love them too, they're just not special, like Pearl. She's a real woman; all curves and attitude! The truth is she freaks my friends out. They think she has a Hannibel Lector kind of look going on. What do they know? I think she's fabulous! The one who paid the most attention was a 3 year old boy. His mother tagged him along, hurried but the kid stopped to look at the violinist. Finally the mother pushed hard and the child continued to walk turning his head all the time This action was repeated by several other children. All the parents, without exception, forced them to move on. If we do not have a moment to stop and listen to one of the best musicians in the world playing the best music ever written, on one of the finest instruments in the world - how many other things are we missing? I have a personal mantra and it's "ABOVE ALL, KNOW JOY". It's all about feeling joy, seeing it and appreciating it through every day living (hence the tag line on my blog) and I really try to live my life by it. Some days it's tougher than others to feel it though. But for the most part, I try to be joyful and obviously some days it's just easier than others. There are all kinds of things that bring me joy and so I've decided to start posting about some of those things. So, how about you? I'd love to hear what brings you joy or if you have a personal mantra? My family didn't come over on the Mayflower. I don't come from a long line of aristocrats whose family stories have been documented in countless biographies or cinematic epics. No, the history of both sides of my family is pretty much the same as most Americans. At some point our ancestors took a boat over from their motherland and made their lives in the United States. 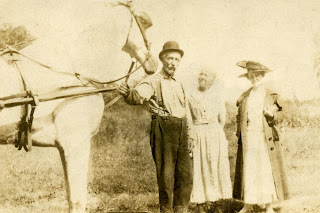 They were hard working Irish (well, sorta), Swedish and English folks who did what they had to do to earn a living and raise a family. I wish it had been different; I could totally see myself as a Rockefeller or a duPont, living in a mansion, enjoying the good life, reflecting on my family's history, and looking back on old family photographs. But since I don't have that, I've had to be a little more resourceful. I buy my ancestors at flea markets and auctions. 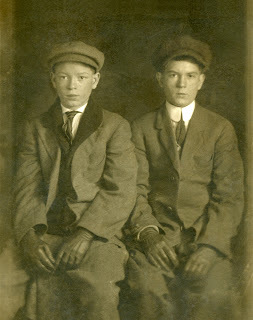 It's true, instant ancestors can be had in the form of photographs for a few bucks at any antique store or flea market in this great country. 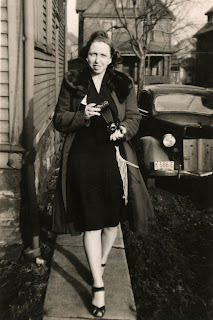 Because my grandparents and great-grandparents were too busy earning a living and settling in this country there wasn't much time or money to document their lives through photographs and scrapbooks, so there are very few family photos being passed down through the generations. Which must be one of the reasons why I feel so compelled to buy lots of old photos of people I don't know. About 15 years ago I stood in the blazing sun at an estate auction in Southern Maryland for hours for the chance to buy a box lot of photographs and family letters written by a woman to her children. The letters documented her family's lives and described in great detail their history; from relatives fighting in wars to when her family had slaves. It was fascinating reading and I could not believe no one in the family wanted to keep its history intact. I paid $30 for what was in my mind, a privilege, to safeguard the history of one family. And although I was thrilled to be the highest bidder, it also made me very sad. It broke my heart to think no one cared enough to save it. There's a part of me that hopes my own family's history, which is not quite as epic as the Rockefellers, but certainly not without its own drama, doesn't end up at an auction; up for grabs to the highest bidder. So, I'll keep creating my wall montage of instant ancestors, one auction at a time, and maybe, just maybe those sweet souls staring back at me in the photographs will know that someone wanted them. I spent most of yesterday taking down the Christmas decorations and it made me melancholy for the old days. In my rush to get the house decorated I didn't really take the time to reflect on our ornaments and how they represent my children's lives. Every Christmas I give them a new ornament that reflects their interest from the past year. My youngest son, Jacob, has had a love of frogs for as long as I can remember so he has lots of different frog ornaments from over the years. My oldest son, Shane, loves sports and fishing so his ornaments have reflected those interests. So as I took the ornaments off the tree I thought of each of my children and how their lives are represented on that tree; and it filled me with a melancholy mood. Life is going by so fast! Wasn't it just yesterday they were two and four and they were both obsessed with cowboys? I held the cowboy hat and horseshoe ornaments in my hand and they look brand new! Their fascination with Star Wars has given way to "Calvin and Hobbs" and the Cincinnati Bengals. Life is good, so good, but it scares me how quickly it is going by. I want it to slow down! The ornaments representing my boys lives, now 10 and 12, reminded me of that yesterday.